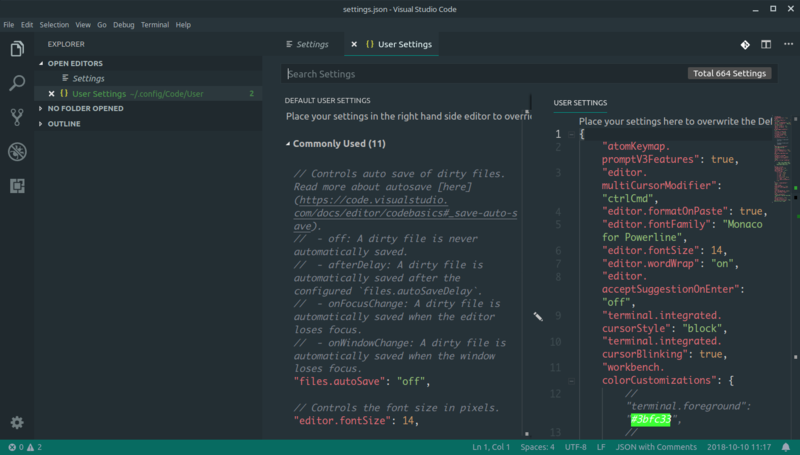 Visual Studio Code>Themes>One Material Dark+New to Visual Studio Code? Get it now. 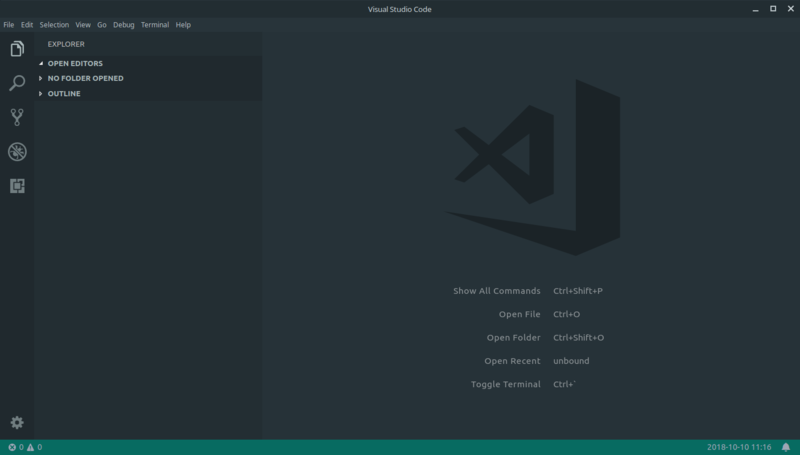 Atom's One Dark syntax + Material Dark & Light Environment Themes (including Mojave) for Visual Studio Code. Four themes for you to enjoy! 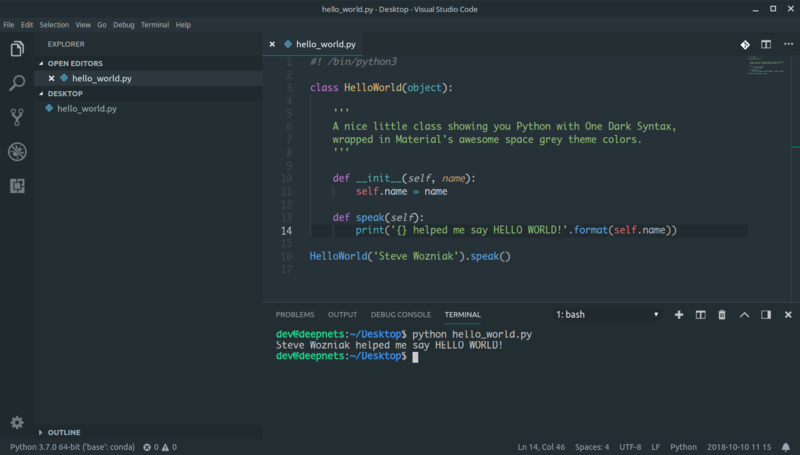 My original dark theme incorporating Material's space grey environment with One Dark syntax from Atom.io - a hoth style light theme - the classic One Dark theme - and the first MacOS Mojave theme on VS Code! This is for lovers of the One Dark syntax highlighting! See screen shots for examples in different states. Leave comments on repo if your favorite language's syntax looks terrible and I'll get a fix into my next update. Open editor with no open folders. Status bar default's to a cool teal. Opening a folder sets the status bar color to match the rest of the editor to reduce distractions. One Dark syntax is great, especially with Python. Fairly standard One Dark syntax for JSON formatted files.